If you no longer wish to receive my weekly updates then please enter your email address in the box below and press the Unsubscribe button. Poets Giles L. Turnbull and Emma Simon will be reading from their respective pamphlets Dresing Up (Cinnamon Press) and Dragonish (The Emma Press). 7pm at Putney Library, Wednesday 11 October 2017. Emma Simon’s debut pamphlet, Dragonish, was published by The Emma Press in March 2017. 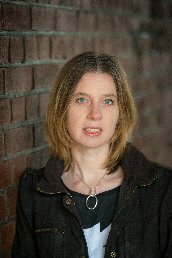 She has been widely published in magazines and anthologies, including Seren’s recent Writing Motherhood. She won the Prole Laureate competition in 2013, and has been placed in a number of other competitions. She lives in London. Giles L. Turnbull is a blind poet. He spent the first half of his life in North Yorkshire before moving to South Wales to study chemistry at Swansea University. He has lived in South Wales ever since, apart from a 5-year sojourn Stateside and two years in London. His debut pamphlet, Dressing Up, is published by Cinnamon Press. 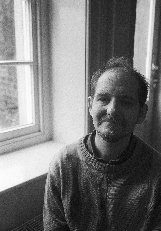 He has other recent poems and articles in magazines and publications by Corncrake, Fair Acre Press, Poetry Wales, Rockland, Nine Arches Press, and forthcoming in the Three Drops Press anthology of ghosts and hauntings.